Creating new drink recipes is a lot of fun. Once you have the perfect mix, the next step is to give your new creation a name. The name gives the drink its final character, adds to its appeal, and can attract attention to it among thousands of other recipes. There are many reasons why a mixologist chooses a specific name for the cocktails they create. To give you inspiration and spark your creativity, here are some common approaches to cocktail names. This is a very literal approach and, when in doubt, it's a great route to go. Name the drink for what it is: Think rum & Coke, vodka tonic, and strawberry margarita. With this type of name, drinkers know exactly what to expect because it's right there in front of them. There are, for instance, the strawberry Champagne punch, the gingerbread hot chocolate, and the pineapple and sage gimlet. Each name alludes to a familiar drink but further defines what flavors you can expect to experience. Martinis, margaritas, and daiquiris are an inspiration for many new variations. It's perfectly acceptable to name your new recipe with one of these bases. 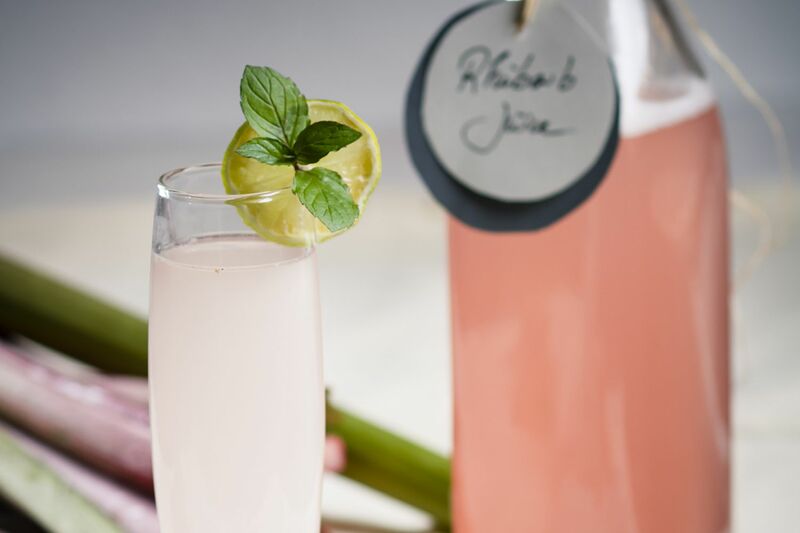 Some examples include the apple martini, jalapeño margarita, and rhubarb-rosemary daiquiri. There is a little gray area with renaming or adding to a common drink, though. Darcy O'Neil makes some good points about it at Art of the Drink. Essentially, if you are going to add something like margarita or daiquiri to your drink's name, make sure it includes the ingredient that those monikers are known for. This will prevent any confusion and disappointment. For instance, everyone is going to expect that any type of margarita includes tequila. Likewise, a daiquiri should have rum. The martini name is actually an entirely different matter because that classic drink has been remade too many times with every liquor, but a Manhattan should definitely have whiskey. Drawing from personal experience is a very popular approach as well. Sometimes it can be a feeling of the moment; an inspirational person, event, or object; or a memory that the cocktail evokes. It could also be something as simple as the season or the weather of the day. The autumnal temptations mocktail was created on one of those last beautiful days of fall when the day's work was far less important than getting outside There have been cocktails inspired by a mother's garden, fond memories of childhood, lost lovers, and countless other personal experiences. Since this is a very personal approach, you don't always have to reveal the reason. It's OK to be elusive. Naming a cocktail after a geographical location or the bar it was created in is another popular option. There are countless drinks that include a city, state, or other significant location in their names. For instance, there are the Boston cocktail as well as the Boston sidecar; the San Francisco cocktail and the Barbary Coast; the Baltimore bracer and the Nevada cocktail. You'll also find at least one cocktail named for almost every borough and attraction in New York City. These include the Bronx, Park Avenue, and, of course, the New York cocktail. A lot of names have been taken, but there are still many available to use. You could also try adding a unique spin or pulling from local lingo. If you're working at a bar, you may also consider using the establishment's name. It's been done for years, including in classics like the Pegu Club cocktail and the Waldorf. There is also the Clover Club cocktail, named after a group of business elites who frequented the Philadelphia bar where it was created. Holidays are always a popular inspiration for naming drinks. Yet you can also pull inspiration from other timely events, both past and present. Some examples include Jim Beam's "time for a change," which was a promotion during the 2008 presidential election. Prior to the 2013 Super Bowl that found two brothers coaching on opposite sides of the field, a drink called the Harbaugh bloody Sunday was promoted. The 1915 creation of Harry MacElhone, the French 75, was named for a piece of artillery used in the First World War. There's always a sports team or championship game, a news event, a political or social movement, or some other notable thing to offer inspiration. But keep in mind that if you want your drink to (potentially) last through time, you may want to avoid names that are too timely or trendy. It's also best not to be offensive. It's a tricky thing, especially when you're trying to add humor or satire to the name. The Irish car bomb is a perfect example. It's a hit in America, and many don't think about the name—it's a "bomb" drink, after all. Yet it would be extremely offensive to order it in Ireland or Northern Ireland, where people died in actual car bombings during the countries' turbulent past. Another popular source of inspiration is a celebrity or famous person of the past or present. It was a popular approach in the early 20th century—the Golden Age of Cocktails—though it remains a good option today. There are many great examples of namesake cocktails. There is the Robert Burns, the Rob Roy, and the Mamie Taylor. While others were not, a drink like the Hemingway daiquiri was actually enjoyed by its namesake. Of course, there are also the famous mocktails named for Roy Rogers and Shirley Temple. Cocktails and culture are a natural mix, and you can find many great names within art, literature, music, and other forms of pop culture. This is a source where you can step away from the literal naming and be as creative as the inspiration. The options here are endless and quite fun to play with. The Gillie fix was named with "Game of Thrones" fans in mind. Two of the best known are the Scarlet O'Hara and Rhett Butler, which were inspired by the movie "Gone With the Wind." Movie-themed drinks are really popular. Names like "revolutionary rum" (for "Revolutionary Road") and "there will be rum" ("There Will be Blood") play off their respective movie titles. Some are inspired by memorable scenes as well. There was once a drink called "REDRUM" based on Stephen King's "The Shining." You can also do some wordplay from a popular story, poem, or phrase. The rhyme and reason, for example, plays off the very common phrase "without rhyme or reason," meaning "in a nonsensical way." With many of these drinks, you'll find that the ingredients play a role in the naming. The wolf bite shooter, for example, stems from a legend, and the red drop of grenadine simulates blood. Similarly, those two "Gone With the Wind" drinks feature Southern Comfort, a liquor popular in the South. Naming drinks is fun, but it's important to remember that you need a tasty recipe first. In the 1911 edition of "The Practical Soda Fountain Guide...," William S. Adkins makes a good point: "A good name will not carry a poor drink to success; but a good name attached to a good drink forms a strong combination."